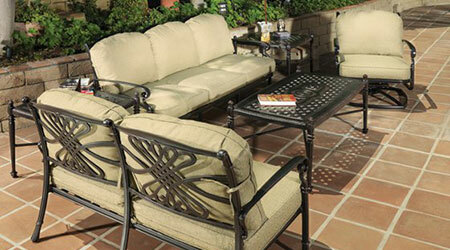 At Patio Land USA – your official distributor in Tampa Florida, we understand that outfitting an outdoor living area is an important choice. 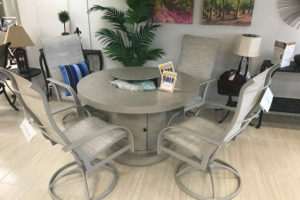 You want to be able to enjoy the fresh air outside and hang out on the patio, and comfortable, long-lasting furniture is able to help you do just that. 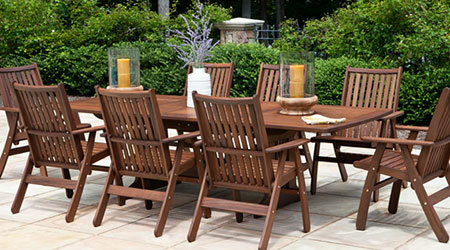 One of the options that we proudly offer is Jensen Leisure® wood outdoor patio furniture. 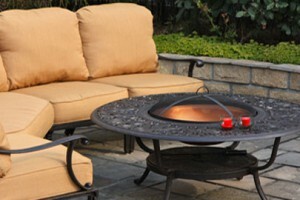 If you want to know more about the brand, the options, or why Patio Land USA recommends this brand, read more here. Jensen Leisure® has been synonymous with a high standard of customer service, solid craftsmanship, and thoughtful design for more than 23 years. There is something for everyone with Jensen Leisure®, their range from modern to traditional means that there is something for you, regardless of your preference. The company only uses FSC® certified wood, which helps ensure long-term well-being of the forests and the people who depend on them. Using this type of wood helps conserve tropical forests and enhances the standard of living in its surrounding communities. If you want a company that goes beyond what is expected and does the right thing for the environment, Jensen Leisure® is certainly one of the best options that you are going to find. 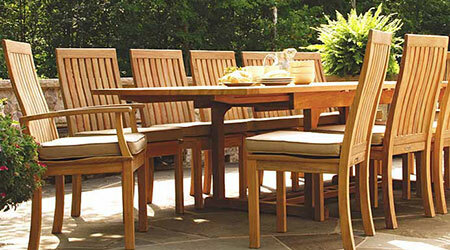 There are a number of different collections when it comes to Jensen Leisure® wood outdoor patio furniture. For example, if you want a brighter, less finished look, the Tivoli collection is going to provide you with what you are looking for. 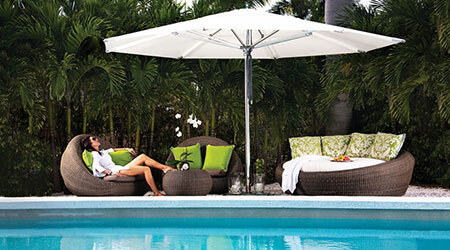 The Argento collection offers a beautiful white/gray tint with spectacular blue cushions. Or for those who want a bit more refinement, the Opal collection offers some of the nicest designs with traditional brown and white contrast. 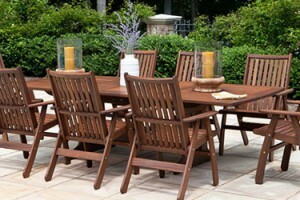 If you do not want to have to choose between being respectable for the environment and enjoying spectacular furniture, Jensen Leisure® wood outdoor patio furniture offers you the best of both worlds. With a dedication to quality and the environment, we know that you are going to love what Jensen Leisure® has to offer for your outdoor patio.